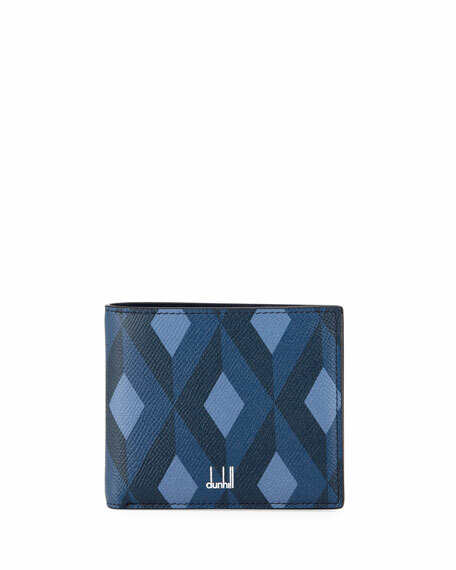 dunhill wallet in signature faceted diamond print leather, from the Cadogan Collection. Silvertone logo stamp at front corner. 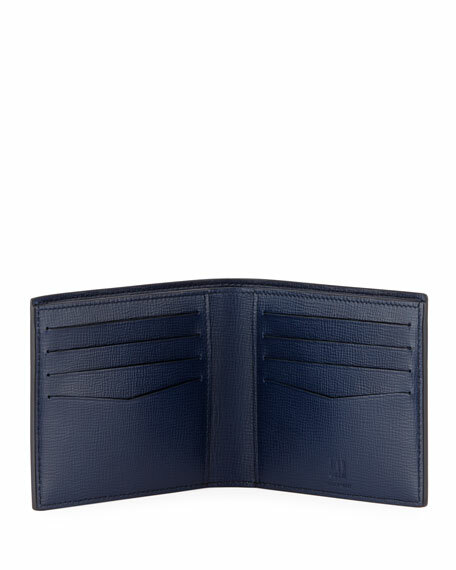 Bill compartment; two slip pockets; eight card slots. 3.8"H x 4.5"W x 0.5"D.
For in-store inquiries, use sku #2669419. Coach compact bill-fold wallet in signature coated canvas and smooth leather. Embossed logo at front and interior. Ten card slots; center bill compartment. Cotton twill lining. Imported. MCM pouch in monogrammed canvas (polyurethane/nylon/polyester) with leather trim. Zip-around top closure. Includes individually numbered plate. "Dieter" is imported of Italian material.